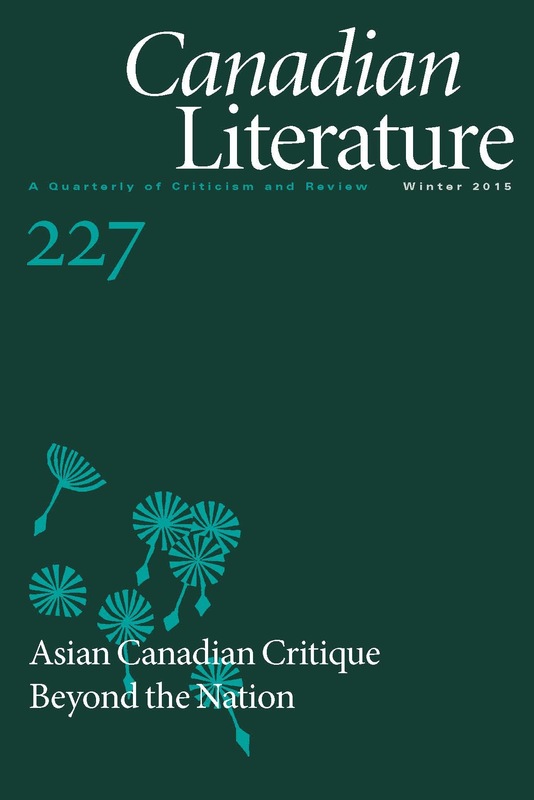 In this essay I argue that in order to fully challenge the nationalism assumed in many approaches to Asian Canadian studies we must consider the roles of francophone Asian Québecois authors and their works. These authors often find themselves at a cultural impasse by living and working in the province of Québec—a quasi-nation-state animated by a competing sovereign impulse, and an entity that deliberately and continuously interrupts Canadian nationalism as a whole. I ask: what does it mean to be a francophone Asian Québécois writer living and working in the language of a competing nationalism, and particularly a competing nationalism that defines itself overtly in terms of language but inferentially through an exclusionary Europeanness that harkens back to French settlements and the mythologies of white labourers, explorers, and settlers. I turn to Kim Thúy’s Ru (2009) and Ook Chung’s La Triologie Coréenne (2012) first to interrupt the anglo-centricism of Asian Canadian literary studies and second to consider the ways that the theme of language appears in notably ambivalent ways. I draw on images of in-betweeness and themes of colonialism in both novels arguing that these representations parallel the ambivalent and precarious statuses of francophone Asian Québécois writers, both within the framework of Asian Canadian literature and Québécois’ competing nationalism. Put another way, while these writers disturb Canadian nationalism by speaking the language of a competing nationalism, they also recognize the ways in which they are never fully included in the sovereigntist project despite the fact that they are writing in French. Thus, by writing in French, these authors disrupt one nationalist project while also exposing the limitations (and contradictions) of another. Jenny Heijun Wills is assistant professor of English at the University of Winnipeg where she teaches ethnic American literature, and in particular, Asian/American literature. She is currently working on a project about (anti-)essentialism, race, and ancestry in the post-human genome era.